PETER Diving System offers a rendez-vous with underwater wildlife in which one can enjoy diving with complete confidence and peace of mind. Dive without tanks on your back. Start easy and improve your diving skills until become a real pro! Find your closest Authorised PETER Point in the map. The best solution for users of yachts and sailing boats. A complementary leisure item within the range of water toys also serving as a highly useful tool for the ship’s crew, simplifying various maintenance tasks and essential to solve underwater emergencies. The ultimate addition to the yacht charter toy range. Diving offers great health benefits. Besides being an excellent leisure and pass-time activity, it has been proven to have therapeutic effects on the body and mind of divers. We understand that respect for life and the ocean is essential to the planet’s survival and for fostering sustainable enjoyment of the seas”. PETER Diving System meets the international standards (UNE EN 250). PETER Diving International is beneficiary of the European Regional Development Fund whose objective is the international promotion of small companies and thanks to which it has received strategic and financial support for its internationalisation during 2018-2019. In this instance, our company receives the support of the XPANDE and XPANDE Digital programs of the Chamber of Commerce of Mallorca. PETER Diving International, S.L. 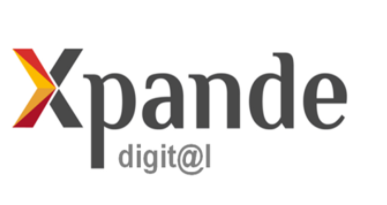 received the support of the program XPANDE Digital. It consists in supporting the process of internationalization of SMEs and thanks to which our company has launched an Digital Marketing Plan with the aim of improving its online positioning in foreign markets. These actions took place in 2018. PETER Diving International, S.L. received the support of the program XPANDE. It consists in supporting the process of internationalization of SMEs and thanks to which our company has put in action an international Marketing Plan with the aim of improving its presence and sales in foreign markets. These actions took place in 2018.